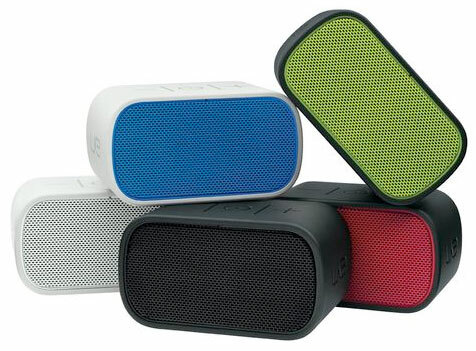 To take your favorite music, books, or other audio entertainment with you on the go—whether in your hotel room, at the beach or in the park—a wireless speaker like the Logitech UE Mobile Boombox is the way to go. The Logitech UE Mobile Boombox will pair with your smartphone or other audio player by Bluetooth to play crisp, clear music. But it's not just another Bluetooth speaker: weighing just over 10oz and with a 10 hour battery life, the Mobile Boombox is supremely portable. We couldn't recommend a better companion for the beach or at a picnic.